JIGGING FOR WALLEYES: The Time Is Now! All across Walleye Country, anglers who enjoy catching walleyes are getting ready to get in or on the water. In rivers that are home to walleyes, anglers are already after them. From the Canadian border south to Arkansas and right here in good ol’ Iowa, walleyes are susceptible to an angler’s presentation right now. On almost all of these bodies of water, a jig will be a good thing to have tied onto the end of your line. In fact, at this time of year, a jig is what many of the most successful walleye anglers will be using. Not just any jig though: There are several things you need to consider if you’re going to be a successful jigger. Following are some of those things. In smaller rivers, many anglers like to get in the water to catch walleyes. In these smaller, shallower rivers wading is the best and maybe the only way to get to the fish. The water is simply too shallow for long stretches to float a boat. When wading and casting, a jig with a piece of plastic is often good. You’ll be casting and slowly retrieving the jig. 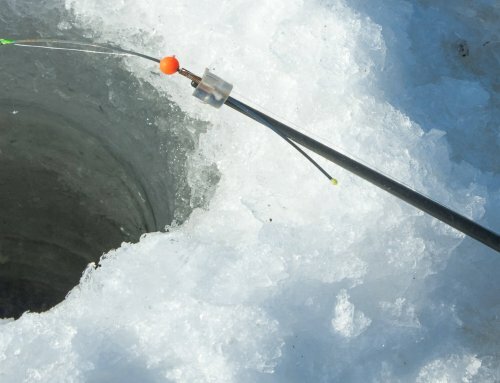 In many small rivers there are so many rocks that a dragging retrieve just isn’t practical: You’ll get snagged too much. Go with an eighth ounce Slurp! Jig tipped with a three-inch Impulse Swim’N Grub and swim it just above the bottom. You’ll still get snagged every now and then, but not as much as you would if dragging a jig and minnow. White or chartreuse is a good tail color, but experiment with color combinations until you hit the right one. When fishing from a boat, you’ll be using a more vertical jig presentation. Now you can go with a minnow if you prefer. Plastic baits for walleyes are getting more popular, but in the spring, it’s still tough to beat a live minnow rigged on a jig with a short-shank hook. A Fire-ball jig is favored by many knowledgeable walleye catchers. Put the hook in the minnow’s mouth and out the back of its head. Add a stinger hook if you’re getting short bites. When you’re fishing vertically, it’s possible to fish slower with your bait ticking the bottom. Due to the vertical presentation, snags will be fewer than with a horizontal presentation. Fathead minnows are preferred in many areas. 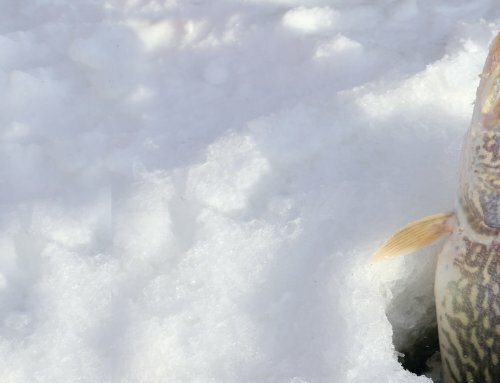 You’ll want to be sure to have plenty of minnows on hand. If the bite is as good as it often is this time of year, you’ll go through a lot of minnows. Also, when you’re jigging over rocks or casting the jig/minnow combo, you’ll use a lot of minnows. 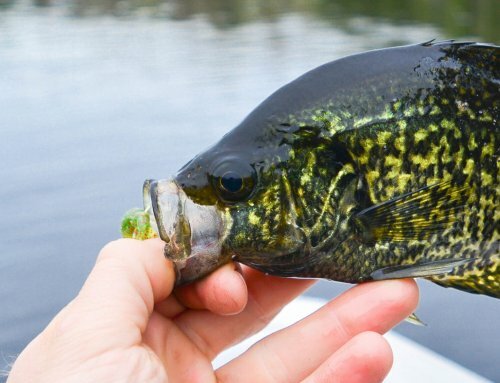 Fatheads are a hardy minnow in the spring, but an aerated minnow container is a big help in keeping them lively. Remember that as much as possible, you’ll want your jig to be moving downstream. Fish that are willing to feed will usually be facing upstream, so we want that jig moving downstream like an injured minnow or bug would. Usually, not always, but usually a downstream presentation will be best. 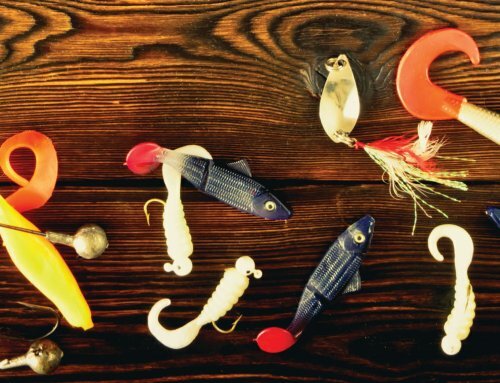 Right now, and for the next several weeks, a jig will be the go-to bait for walleye anglers north and south. 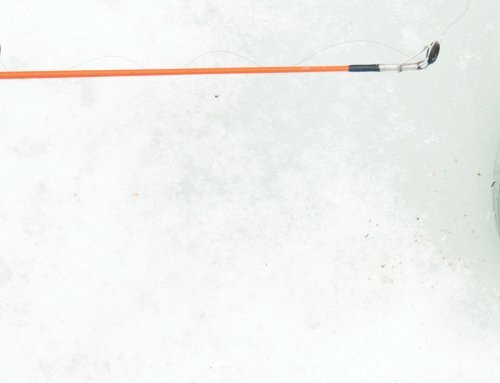 Tie a jig onto your line, put it in front of a walleye, and chances are good you’ll get bit.